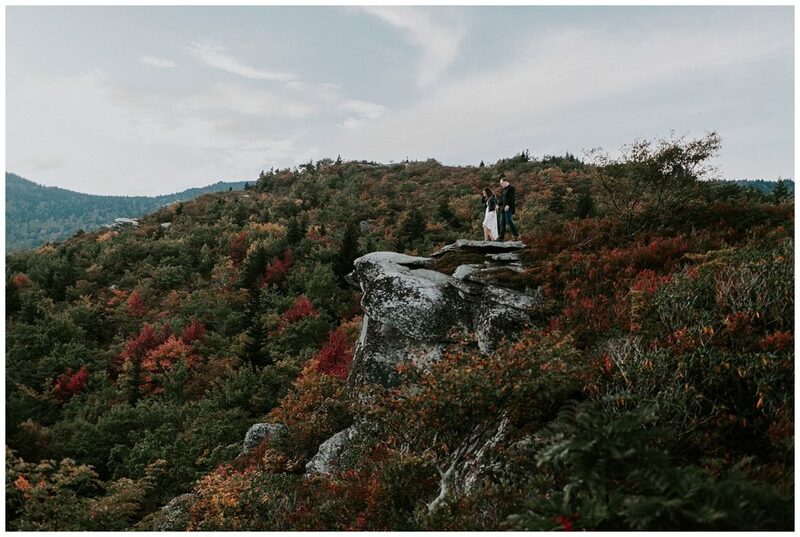 The High Country is beautiful at all times, this we know for sure, but the High Country during the autumn season takes it to a whole ‘nother level. 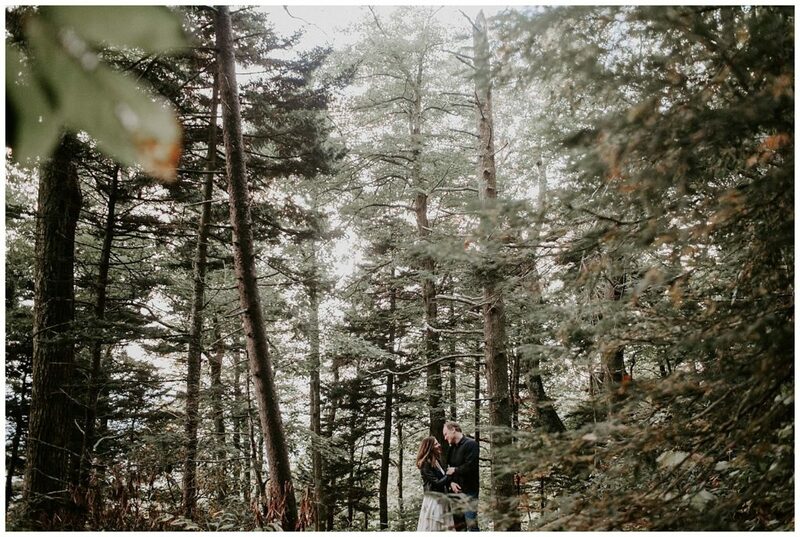 The swirling leaves, the nip in the air, the misty mountain views—all aspects that make it the ideal setting for an engagement session. As dreamy as one could ever imagine. 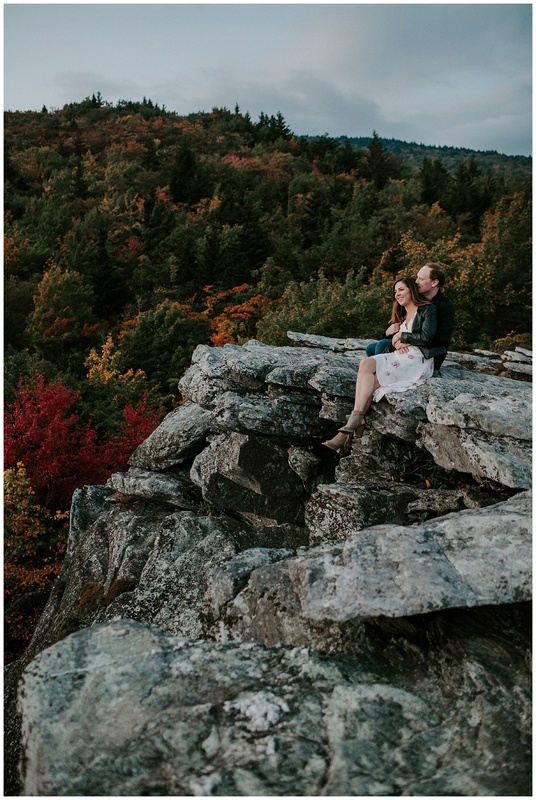 On that note, let’s take a peek at Sophie and Jame’s engagement session on Rough Ridge Lookout. 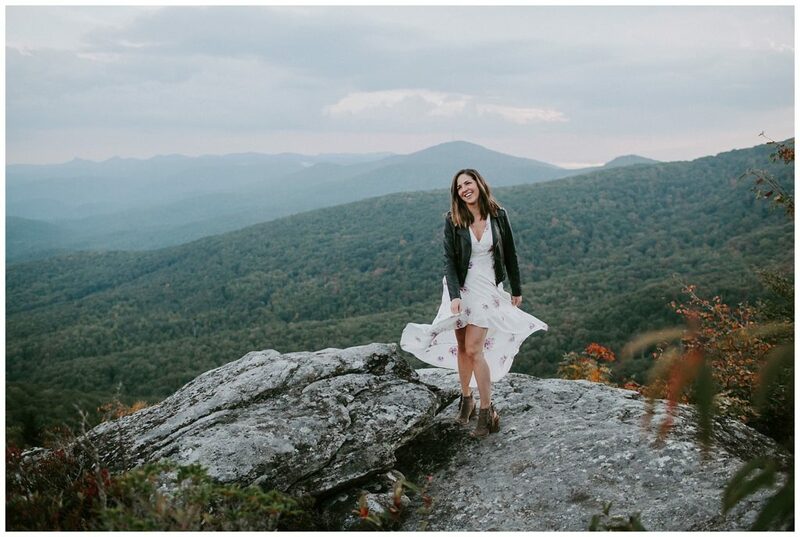 Erika El Photography captured this adventure-loving couple to a T and her images makes us giddy about the upcoming season. 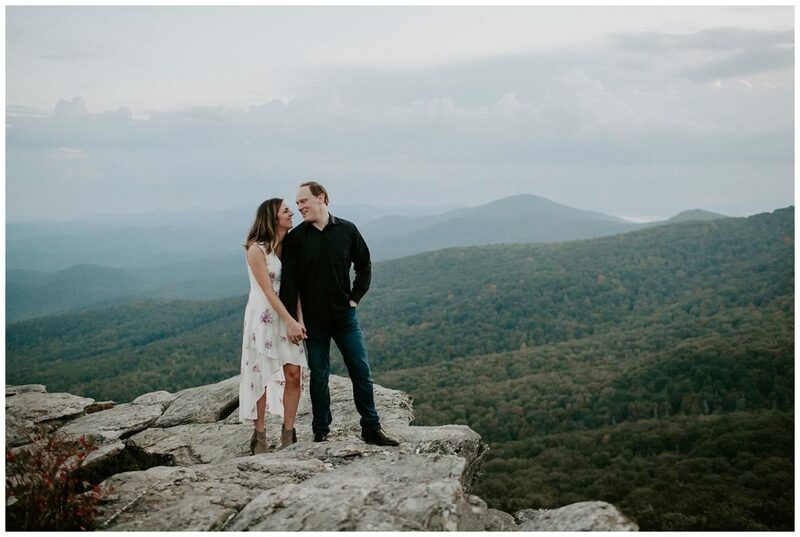 I mean, come on, just take a look at this setting (and this cutie couple). More from Sophie below. 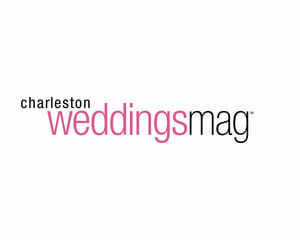 High Country Wedding Guide: How and when did you meet James? Sophie: We met through mutual friends at a party and instantly hit it off. The funny bit about it was that is was definitely one of those “chance encounters.” I originally wasn’t going to go to the party but my friend forced me into it. We didn’t run in the same circles so if I had decided to stay in that night we probably would have never met. 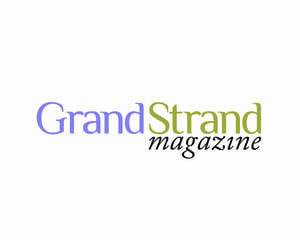 HCWG: Serendipitous, for sure. Now, on to the proposal. Yours is quite unique, we hear. Sophie: Our decision to get married was a conversation that ended with a “hey, let’s get married at the end of the year,” kinda thing. Not a very over-the-top romantic proposal. His mother helped in designing and making the ring so the first few months of wedding planning I was ringless. And here’s a chuckle for you. 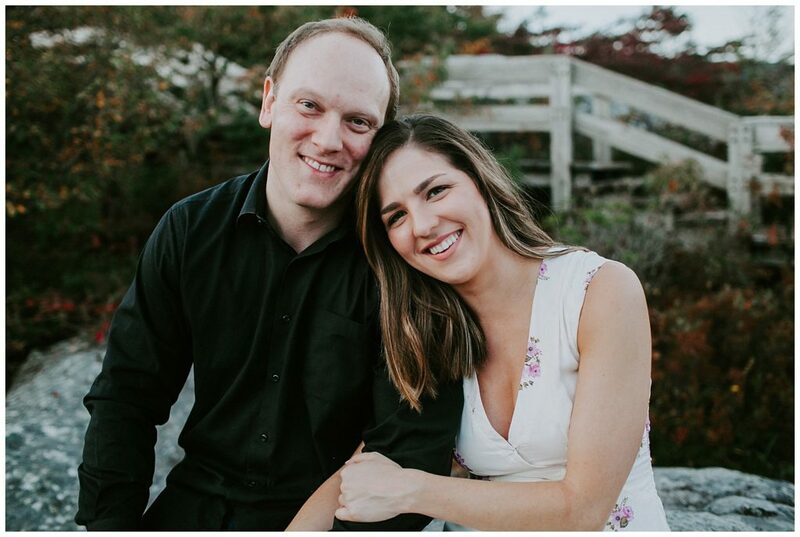 Our engagement session was actually supposed to be James “official” proposal with the engagement ring. 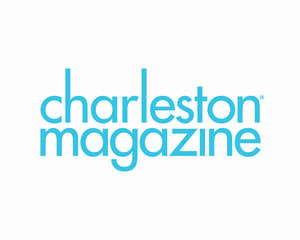 He spent weeks planning it and rented a cabin in Boone but the week before disaster struck and he found out the ring would not be ready in time. 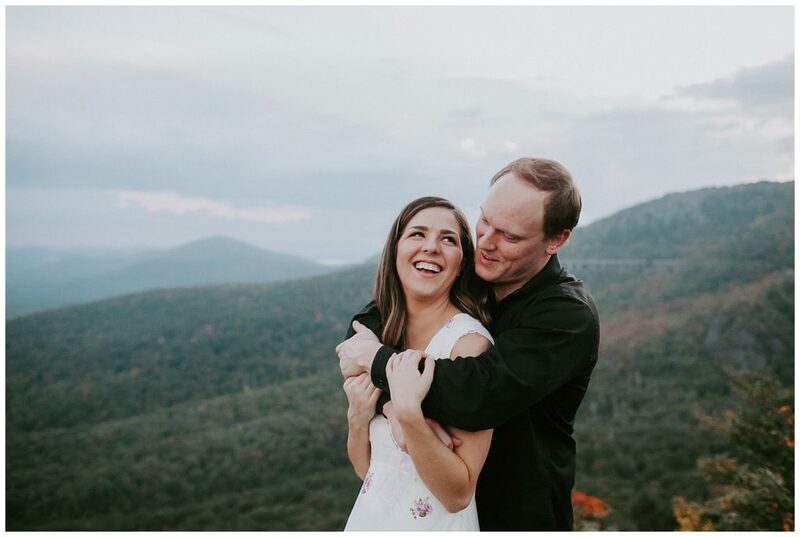 He didn’t want to reschedule so we proceeded with our romantic mountain getaway and the engagement session. Even though it wasn’t the weekend he had planned, it turned out to be one of our best trips ever. 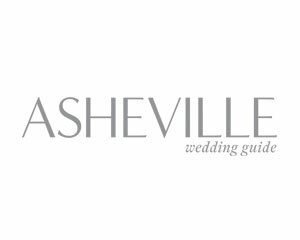 Two weeks later, he finally had the ring and planned a day trip for us to Asheville. 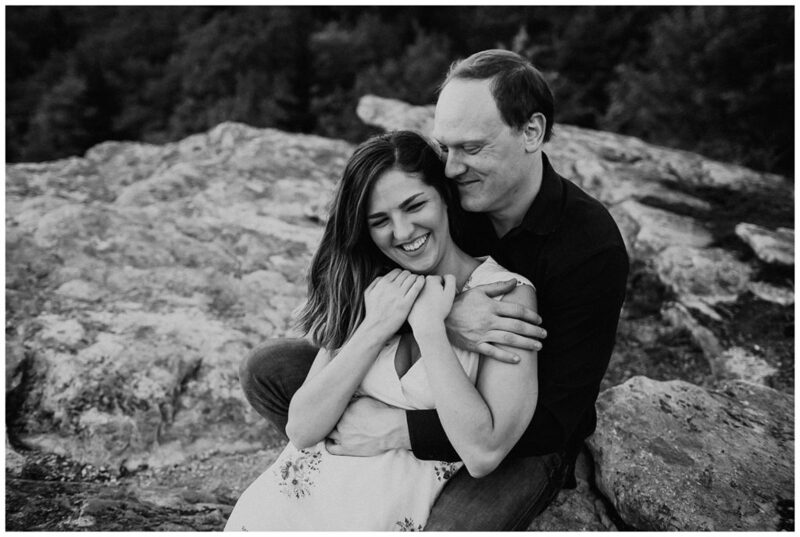 With all the anticipation we had built up around the actual proposal, it only lasted about five seconds. He was so nervous and I was excited. 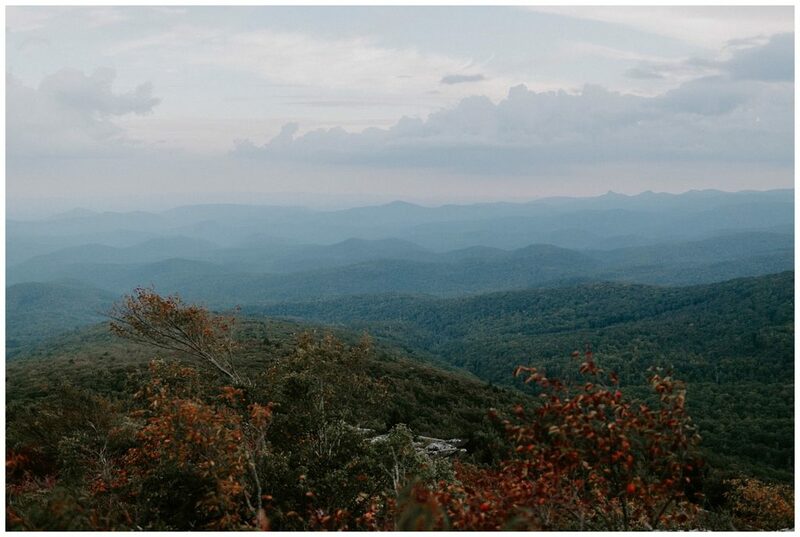 So, in summation, the mountains have played a huge part in every step of our journey. 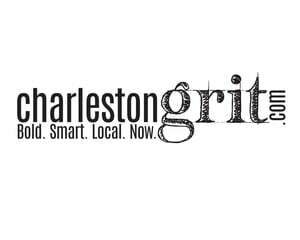 HCWG: A story to share with the kiddos one day. 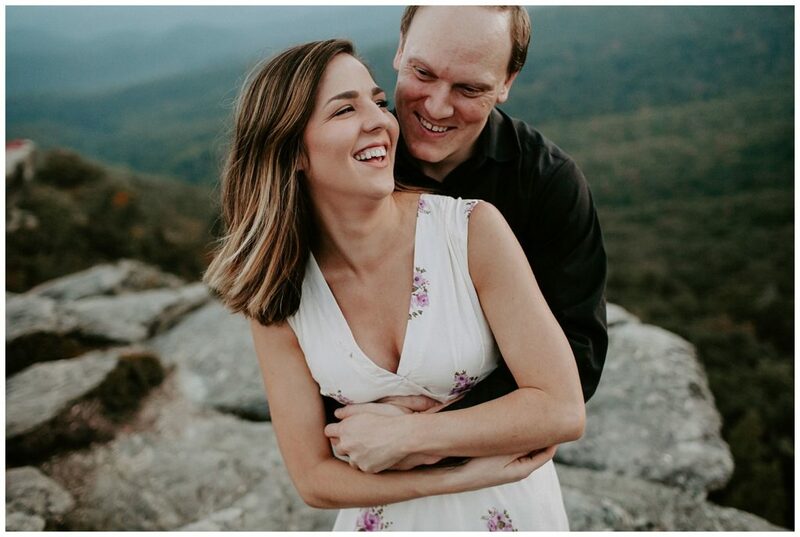 So, is this why you chose the High Country for your e-session? 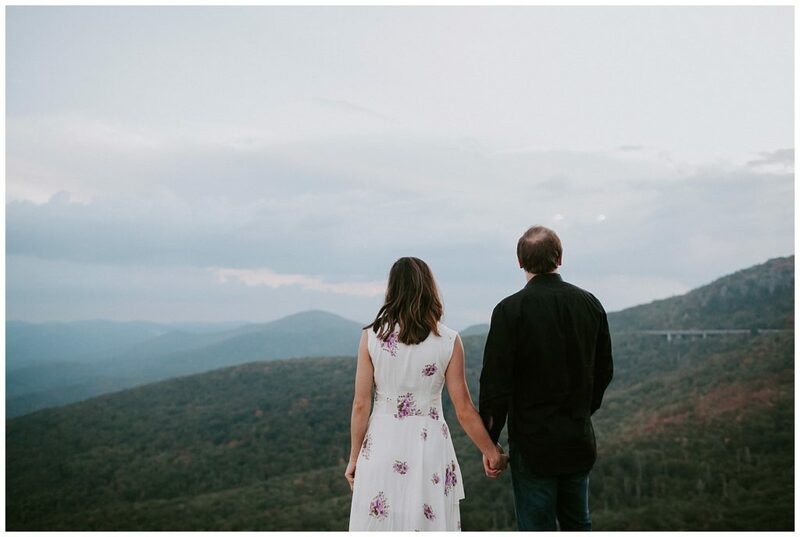 Sophie: Our first trip we ever took was to Boone, North Carolina, and it was definitely one of the most memorable getaways in our four year relationship. 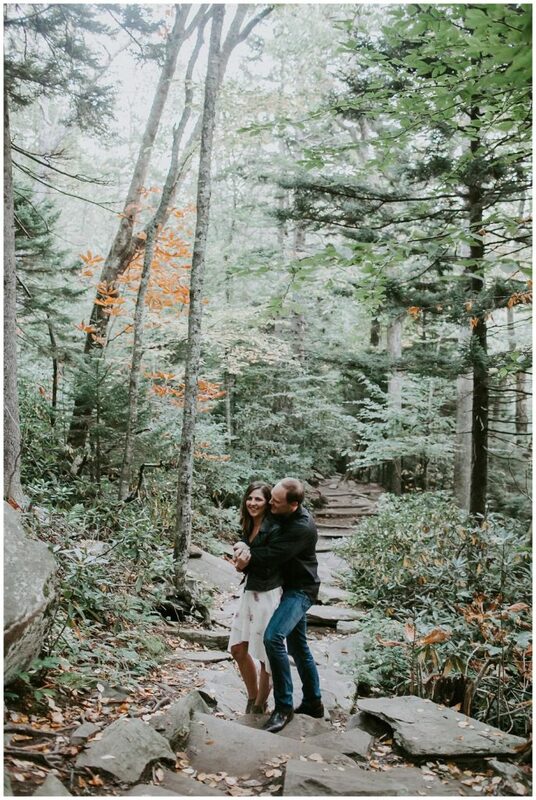 It made sense to have our engagement pictures shot somewhere near Boone. Plus, the scenery made for some gorgeous pictures. HCWG: You all look so precious canoodling in front of the camera. Assuming you aren’t camera shy? Sophie: No, definitely camera shy! Your’e looking at two of the most awkward people in front of a camera. In fact, James is so camera shy we didn’t have a picture together until after we’d been dating almost a year! 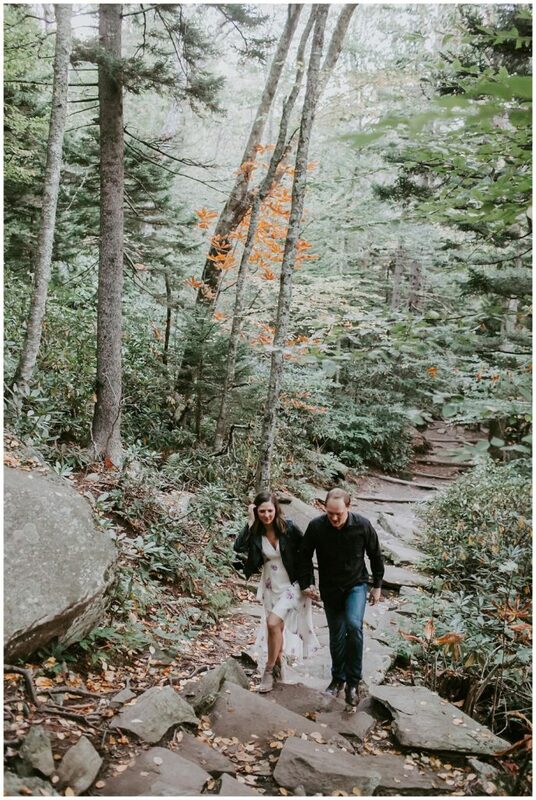 We were terrified going into but we were incredibly lucky to have a photographer who made us feel (and look) like natural models. 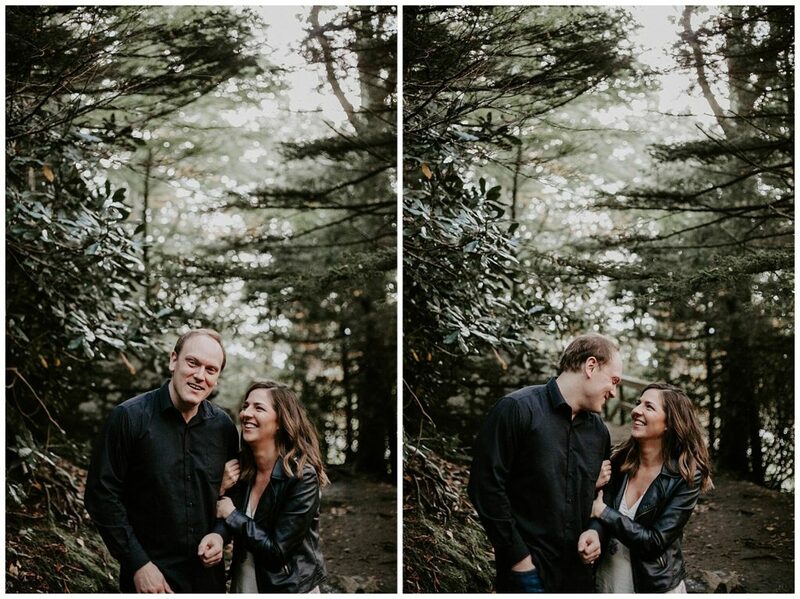 Erika did such a great job of making the engagement session feel like a celebration of love. No joke, I swear I fell in love with James all over again. HCWG: All the feels. Any especially memorable moments from this day? Sophie: There were many a silly accent made by James in order to get those laughing pictures to look believable. What you also don’t see are the sneakers required to walk up to the mountaintop location. 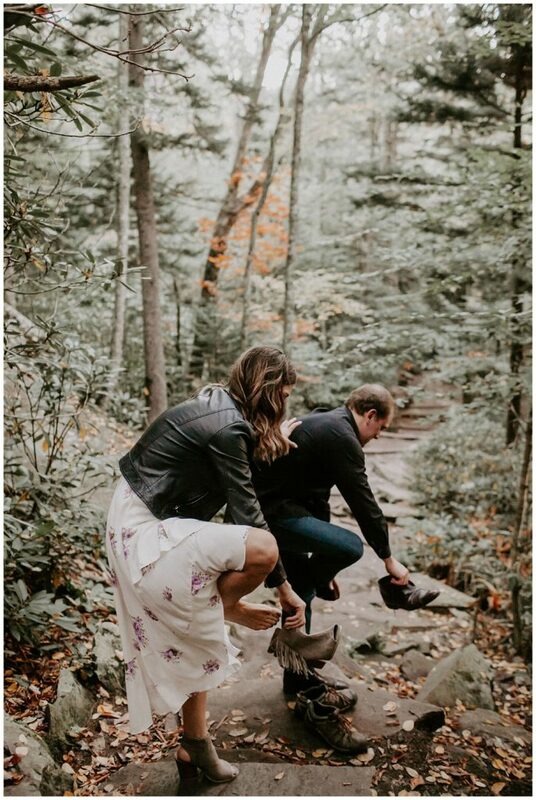 I’d love to be able to say I have enough skills to hike in heels, but alas, not so much.